Details emerge for Lucasfilm's live-action series helmed by Jon Favreau. The first image from the much anticipated live-action Star Wars TV series has now been released. This is fully official and has come straight from Lucasfilm. Production on the first Star Wars live-action streaming series has begun! After the stories of Jango and Boba Fett, another warrior emerges in the Star Wars universe. 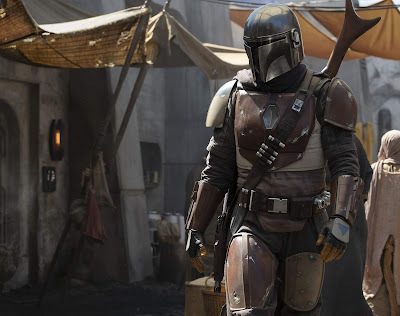 The Mandalorian is set after the fall of the Empire and before the emergence of the First Order. We follow the travails of a lone gunfighter in the outer reaches of the galaxy far from the authority of the New Republic. The series will be written and executive produced by Emmy-nominated producer and actor Jon Favreau, as previously announced, with Dave Filoni (Star Wars: The Clone Wars, Star Wars Rebels) directing the first episode. Additional episodic directors include Deborah Chow (Jessica Jones), Rick Famuyiwa (Dope), Bryce Dallas Howard (Solemates), and Taika Waititi (Thor: Ragnarok). I would love to hear your thoughts. Please leave a comment, don't be shy.